No. I will not work for a poverty wage. No. I will not be abused. No. I will not be dominated, or controlled, or coerced into anything, ever. No. The power to say no is fundamental. There’s no consent without the power to refuse. This does not then mean that no work will get done if all work is voluntary. Work will always be done if it needs to be done, and people will always accept work for the right price, but we can no longer require work for money to live, especially in light of automation. If we have the unalienable right to life, then access to what we need to live cannot be justly withheld on the condition of work. The basics for life must be our new universal starting point. That’s our missing foundation. Humanity needs freedom and security to thrive. Humanity needs the means to live and to love. Humanity needs more humanity. 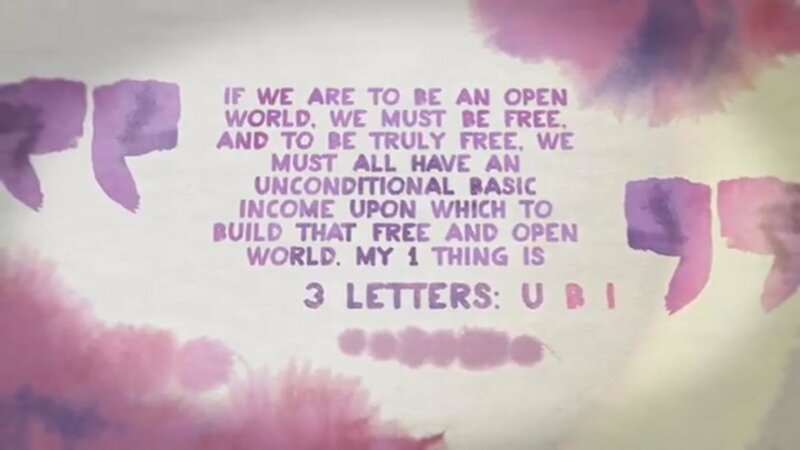 If we are to be an open world, we must be free, and to be truly free, we must all have an unconditional basic income upon which to build that free and open world. My one thing is three letters: U. B. I. If after reading the above post you're curious about the potential erosion of UBI due to rising prices/inflation, please read this next.